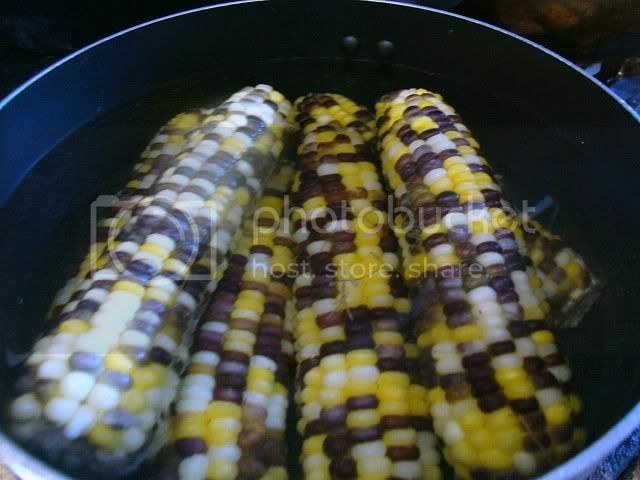 I love corn and most of its by-products. 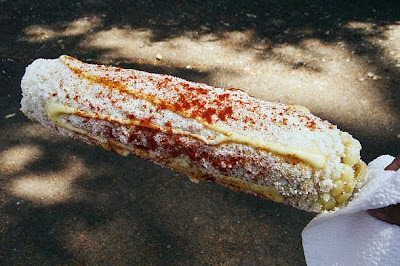 But most of all, I love corn on the cob- the Mexican version called “elote” which is boiled then coated with mayo, rolled in Cotija cheese and as if still lacking in flavor would squirt butter on top (from that squeezable plastic container), sprinkle with chili powder and then squeeze lime juice on top to balance all the yummy flavors. That is the absolute street food trip! One time I saw an episode of The Best Thing I Ever Ate featuring Food on a Stick and there was my fave/crush chef/homeboy Tyler Florence on it again talking about his favorite grilled corn which is served at Café Habana in New York. 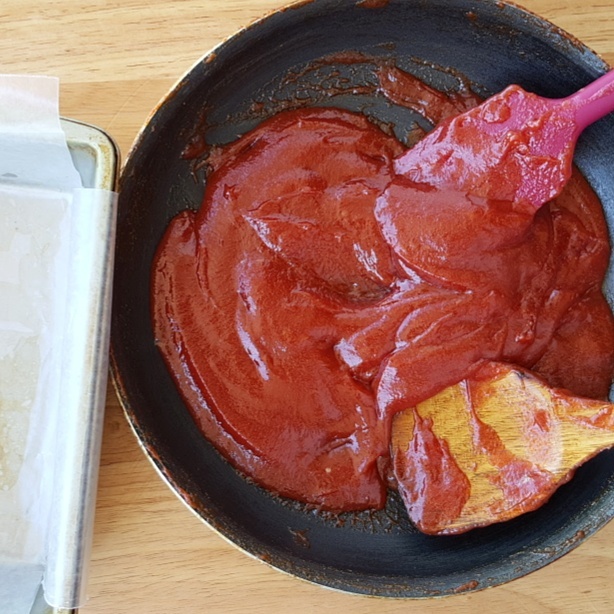 Almost the same as my fave elote but grilled and using queso blanco instead of Cotija- the rest of the main components are present- chili powder, mayo, butter, and lime wedges. I so wanted to try it and even bought all the ingredients but again- failed to execute due to my busy schedule. The last time I had one from a vendor was so long ago and I was surprised that they sell it in two forms now. The usual on-the-cob and the shaved one in a styrofoam cup which is pretty neat because it eliminates the messy mayo-cheese moustache/beard effect one experiences after eating one. Lately I don't get my fix from the street vendors because of quality of corn issue. I'd rather do it myself and tonight I just did but with a little twist. I used Korean corn, Kewpie mayo, Parkay margarine, Parmesan cheese and cayenne pepper and of course- lemon wedges. Thanks! It is delicious. I don't know if that starchy, sticky texture is characteristic of Korean corn but I just scraped it off before proceeding to the yummy make-over of mayo, cheese, butter, chili and lime. Oh, and I even grilled a boiled one just to get some char... awesome!